Woody Harrelson as Cletus Kasady? It’s certainly not out of the equation. This past weekend, we brought you the news that Harrelson, star of True Detective and The Hunger Games, had been tipped to play the villainous Carnage in Ruben Fleischer’s upcoming Venom movie. It was a rumor that was met with a great deal of suspicion right out of the gate, as many had assumed that the role of Cletus Kasady, Eddie Brock’s one true nemesis, had fallen into the hands of Riz Ahmed. Alas, there’s been nary a mention of an official announcement from Sony, but thanks to Facebook (h/t ComicBook.com), we now know David Michelinie’s thoughts on the situation. Huh. This screamed “April Fool!” at first, but I checked two listings on IMDB–for the Venom movie and Harrelson’s own page–and they both list him as being in the flick. And I don’t think IMDB is into practical jokes. Harrelson’s a good actor, and has a decent range. He’s played nutso characters in the past, but I guess we’ll have to wait until October to see just how far he can ramp it up. Fingers crossed. So, while David Michelinie initially dismissed Bleeding Cool’s ‘scoop’ as nothing more than an April’s Fools joke – just like everyone else, really – the comic book scribe is beginning to warm to the idea of Harrelson slipping into the shoes of Cletus Kasady, presumably at the expense of Riz Ahmed. 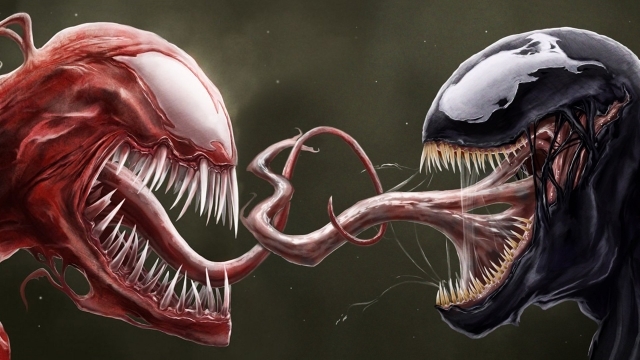 Remember, given its ties to the “Lethal Protector” storyline, it’s all but certain that Venom will feature multiple symbiotes come October, so perhaps it’s more likely that Woody Harrelson’s character has been earmarked as another symbiote monster, thereby leaving the door open for Ahmed to play the part of Cletus Kasady. And that’s despite being introduced as the brains behind the nefarious Life Foundation. All will be revealed once Venom makes a beeline for theaters on October 5th.